Many folks have managed to lose weight and get healthy by running on a daily basis. You need the right training program to make sure your body stays on its toes and lose the extra weight you are carrying. Keeping a log of the distance and time for each run is a no brainer. 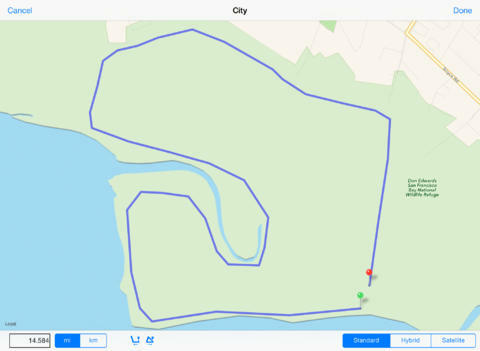 Runner’s Log for iPhone is a beautiful application that lets you plan out your route, view stats, and track your total mileage. Runner’s Log is designed to make it easy to record the results of your runs. The app has a user-friendly interface and makes planning out routes easily. Let’s not forget that you can track your workouts with your phone’s GPS. The calendar shows your recent streaks. You can track your total mileage and see weekly/monthly/yearly statistics with ease. I like the fact that logs can be tagged. 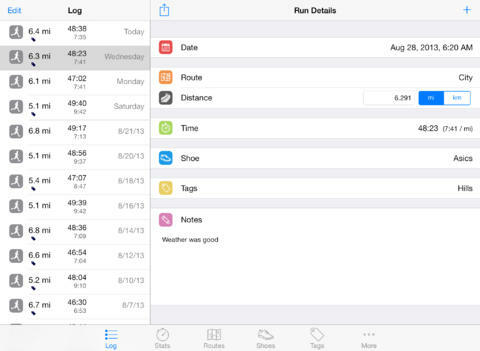 Runner’s Log is a universal application, though most of us don’t plan to use our iPad to track our runs. The app keeps your data synced and lets you import and export data in CSV format. Runner’s Log is up for grabs under $3.